Last year, Activision did the seemingly unthinkable by cutting out the single player campaign from Call of Duty: Black Ops 4. This is because the campaign had been a staple of the series since the first Call of Duty game debuted back in 2003, making each Call of Duty feel like a complete package, and being a nice way to get a feel for the game before diving into the multiplayer. But ditching the campaign did not have much effect on sales, and Call of Duty: Black Ops 4 has even outdone the previous entry in the Black Ops saga (2015’s Call of Duty: Black Ops III), proof that people enjoyed the game’s multiplayer gameplay and its new battle royale mode Blackout. And although you might expect Activision to go the multiplayer route with the next instalment of the franchise, this is not the case. Actually, Activision’s management said at an earnings call that Call of Duty 2019 will have a campaign, as was recently reported by GameSpot. It remains to be seen, though, whether this will be the typical campaign seen in games like Call of Duty: WWII and Call of Duty: Advanced Warfare or something else altogether. Activision might be willing to experiment this time around given the success of Black Ops 4 and its new approach to the Call of Duty formula. Another matter is which of Call of Duty’s subseries will get a sequel this year. All signs point to Call of Duty: Modern Warfare 4 being 2019’s entry, as the previous two games where made by Sledgehammer (Call of Duty: WWII) and Treyarch (who made last year’s Call of Duty: Black Ops 4), so it’s Infinity Ward’s turn next. As you might already know, Call of Duty games are made by these three different studios, and Infinity Ward’s Modern Warfare series sure is a fan-favourite. 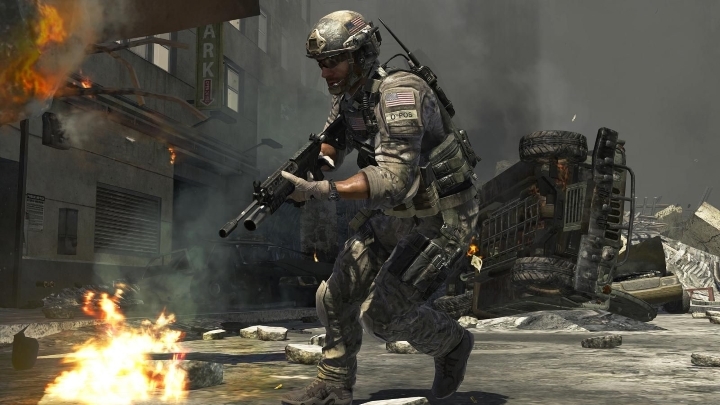 Actually, Call of Duty: Modern Warfare 3 is one of the franchise’s best-selling entries to date, while 2007’s Call of Duty: Modern Warfare is arguably the best game in the series to date. So it stands to reason that Modern Warfare 4 will very likely be this year’s Call of Duty, a game which according to Activision will also have entertaining cooperative gameplay, and a “huge expansive multiplayer world”. What matters though, is that Call of Duty 2019 lives up to the series’ best, and that those disappointed with the lack of a campaign in Black Ops 4 get the single player campaign they deserve when this next Call of Duty game ships later this year.